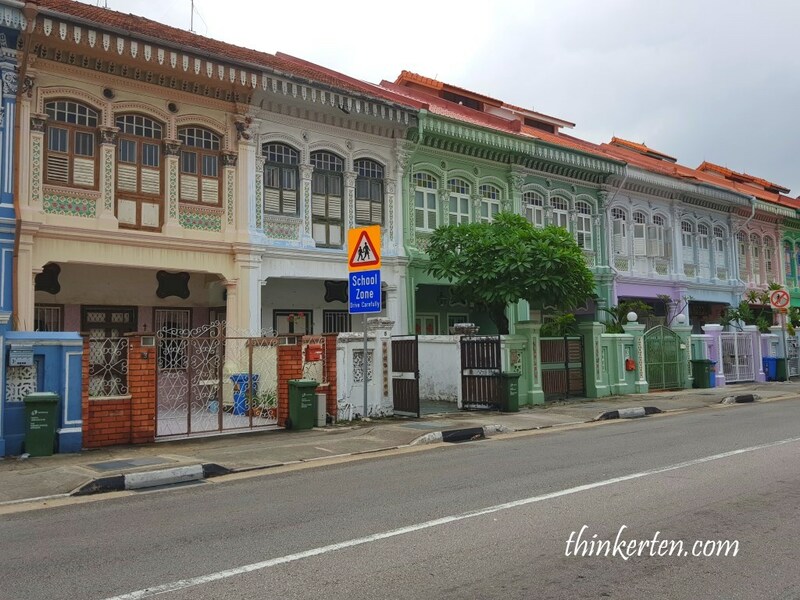 About just 10 mins drive from the city center, you will find a vibrant neighborhood in Katong. 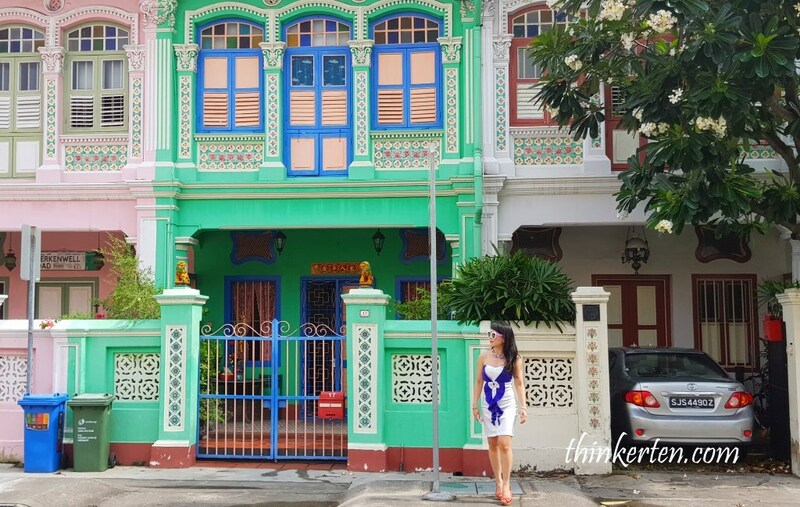 What make this place unique is the multi-color Peranakan houses and the scattering of colonial bungalows. I had my first visit in this charming neighborhood, discovering eateries and old fashions stores. I passed by a shop displaying the outfit that is most associated with the women of the Peranakan community, the Kebaya which is semi-transparent with floral pattern embroidery. 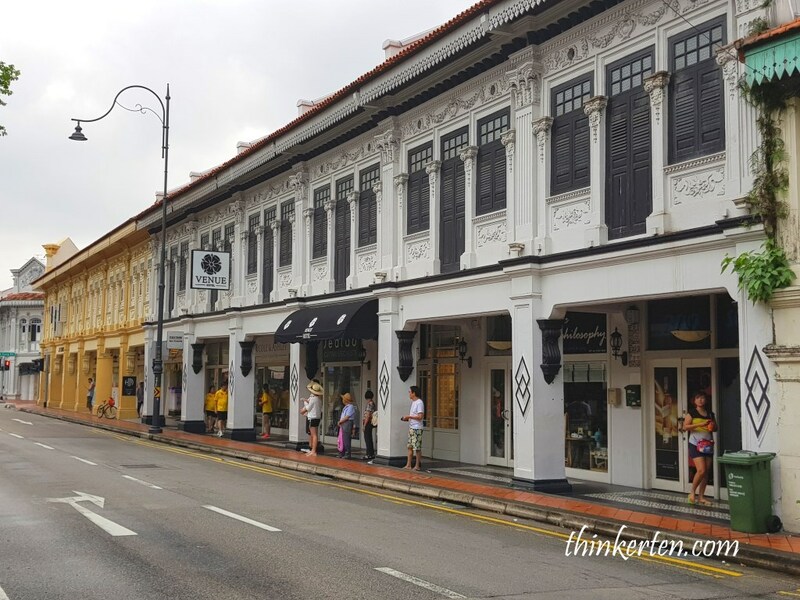 The shop also displayed Peranakan beaded slippers and colorful antique collections. 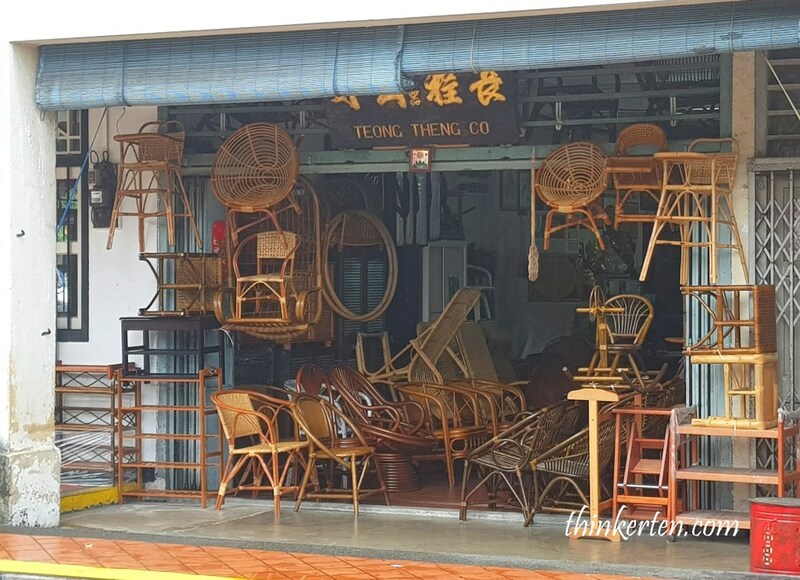 A household well-known shop selling all rattan or Malay word “rotan” furniture, from children high chair to old folk rocking chair. Rattan furniture is very suitable for tropical countries because it is very cooling to sit. 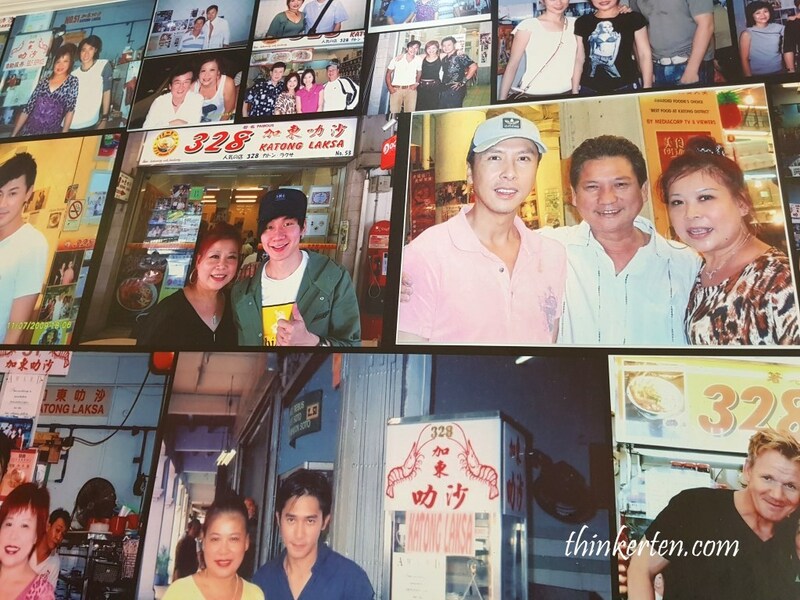 The shop is Teong Theng Co at 369 Joo Chiat Road which was established in the 1945. Seeing those ‘rotan’ furniture triggered nostagia in my early childhood. There are also art galleries, shops selling curtains and custom made sofas in this neighborhood. I was attracted by the bright color of this building so took a few pictures. This red house is called the Black Earth Auction House, an art and auction gallery. You are welcome to go in and have a look at the artwork. Shop houses has two storeys and is a commercial and private structure. The tenants usually use the first floor for commercial purposes and stay in the upper floors in the past. 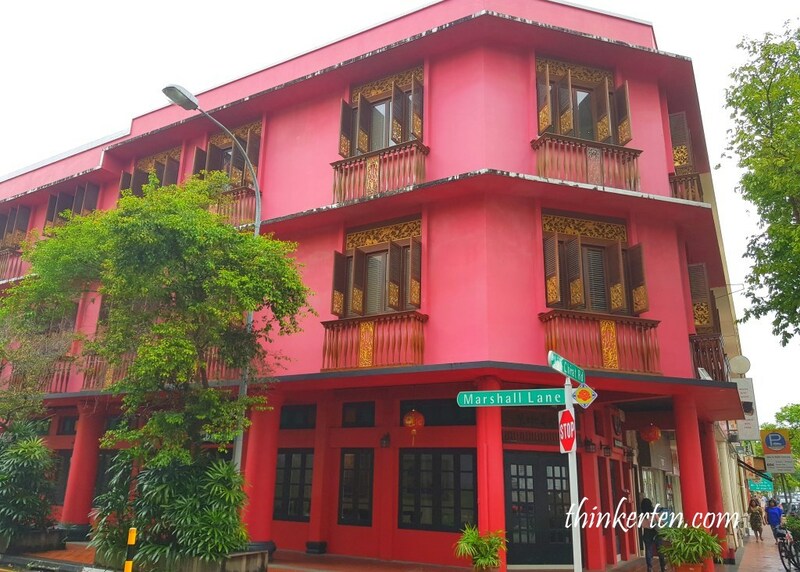 The colorful Road here is named after a guy called Cheong Koon Seng (1880 – 1934). Cheong Koon Seng was one of the first thirteen students at the Anglo-Chinese School. He is also one of the best known pioneer local auctioneers and estate agents in Singapore. 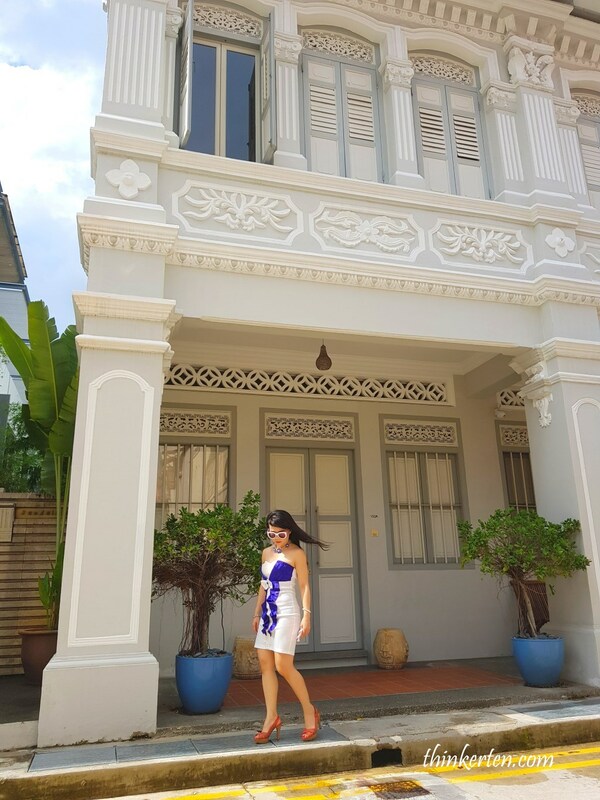 During the Dutch and British colonization, the Peranakan Cina began to embrace the European style and allied themselves with the foreigners. Along Koon Seng Road most tenants use both the ground and upper floors for residential. Have you heard of Dondang Sayang? The Dondang Sayang (or Love Ballad) is a traditional Malay form of entertainment where Baba and Nyonya singers exchange impromptu Malay Pantun (poetry), in a lighthearted and sometimes humorous style. Now the popularity has declined but you are still able to hear this cute song and dance when attending the Baba and Nyonya parties. 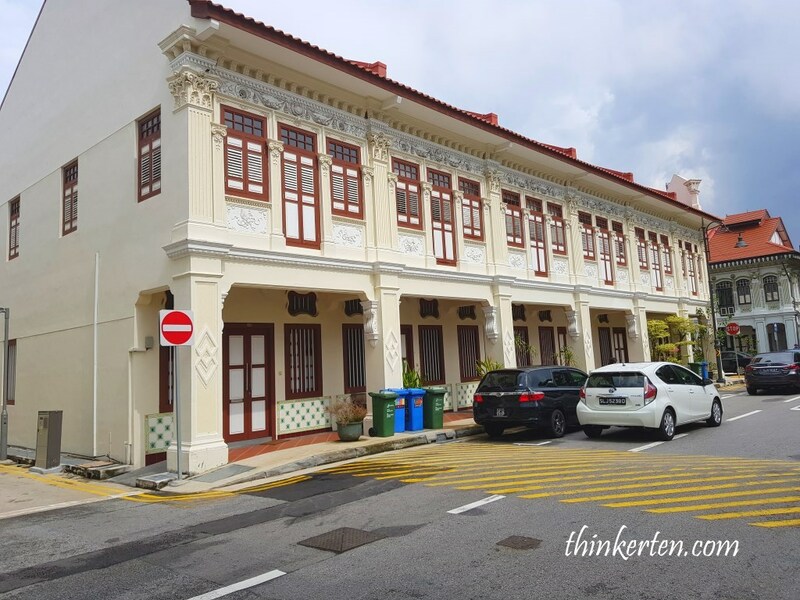 Peranakan is blend of two cultures where the people are ethnic Chinese but culture and language are predominantly Malay-influenced. Most of them don’t speak Chinese but only speak Malay and English. 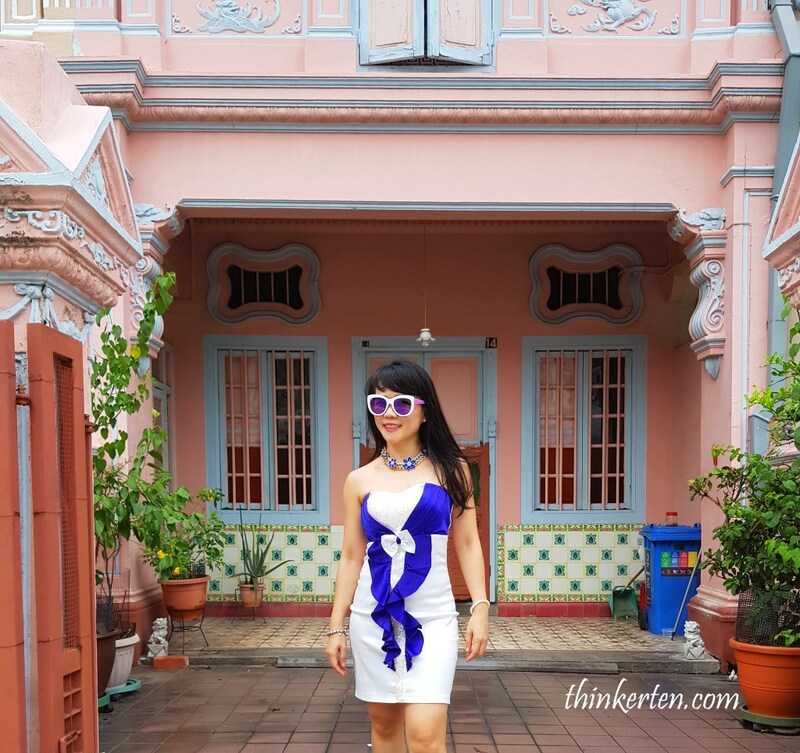 The window and door panels were beautifully carved, typical of the Peranakan architecture. The architecture brings together Eastern and Western elements like ceramic artwork and elaborate plaster works. Don’t miss a beautiful Indian temple hidden nearby. The facade of the temple uses a lot of bright yellow which make it so outstanding from far. 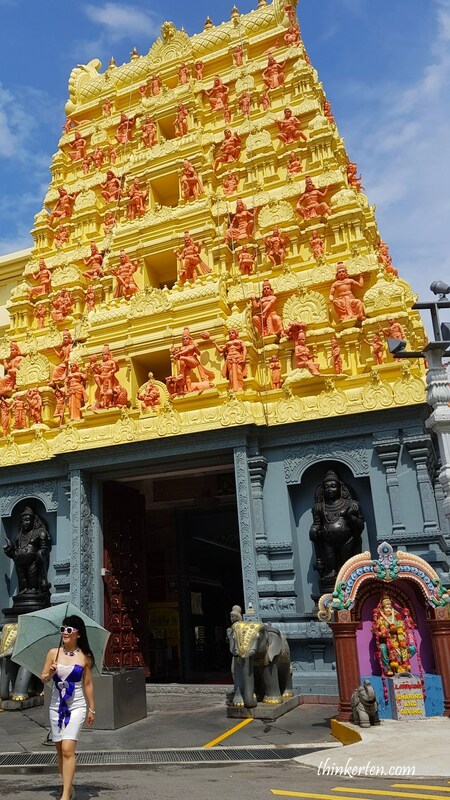 The 21-metre high Raja Gopuram entrance tower makes this one of the tallest Hindu temples in Singapore. 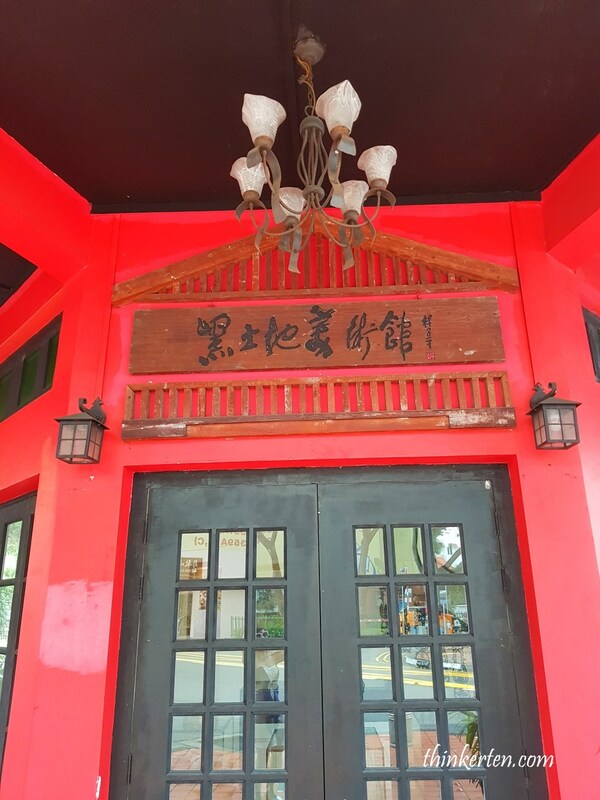 One must try out Katong Laksa while in here, 328 Laksa is located at 51 East Coast Road, 428770. Upon entering the shop, you will be impressed by a wall full of fame, picture full of the celebrities from all over the world! 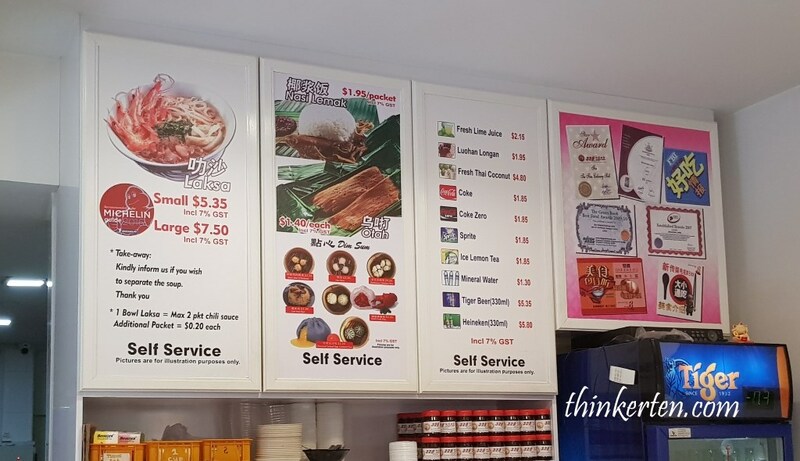 Pricing : small laksa cost SGD $5.35 and Large cost SGD $7.50 the chilli is provided in packets limited to two per person. No chopstick is given, only spoon because the noodles are not long and easier to eat with spoon and drink the laksa soup together. And how was the taste? Well, I would say 4 out of 5 stars. 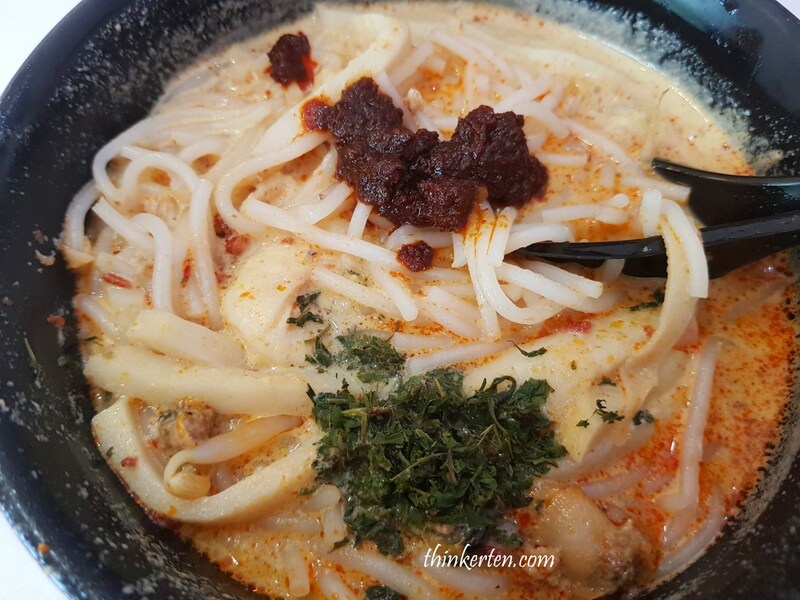 There are other stuff such as nasi lemak and otak but coming to Katong is more about trying out the famous laksa. Another must take away snack is the Kim Choo Rice dumpling, located at 60 Joo Chiat Pl, Singapore 427784. Nearest MRT station is Payar Lebar.